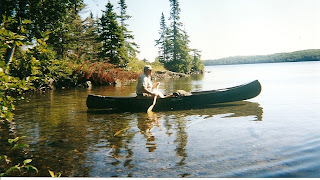 As we slip into our coldest month, I'm thinking about the warmer months when I'll be traveling the state working on a new travel book, The Paddler's Guide to Michigan, which will be published by The Countryman Press in the spring of 2011. As I work on the book this winter, I hope thoughts of warm Michigan waters will get me through the months ahead. Jeff Counts is the author/photographer of Michigan: An Explorer's Guide, The Paddler's Guide to Michigan, and Detroit & Ann Arbor: A Great Destination. He is an avid fly angler, paddler and upland bird hunter. The veteran Michigan journalist lives in southern Michigan with his wife, Cathy.